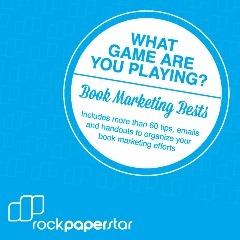 RockPaperStar - Do you need marketing help? Why is it so challenging to sell books? Is it that there are so many books to choose from? Is it that authors don't like to sell their ideas? Is it the publishing industry? It's a lot of things and we've been working with authors for more than eight years and we think it's that it is really hard work to be strategic about why your message needs to stand out. So, we created 14 days of free marketing tips for you to gain new ways to reach your audience. Give it a go!